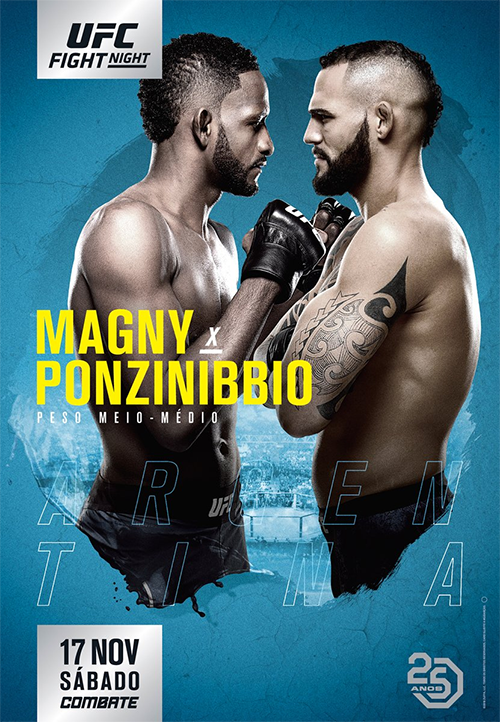 UFC Fight Night 140: Magny vs. Ponzinibbio is an upcoming mixed martial arts event produced by the Ultimate Fighting Championship that will be held on November 17, 2018 at Estadio Mary Terán de Weiss in Buenos Aires, Argentina. The event will mark the promotion's first visit to Argentina. A welterweight bout between Neil Magny and Santiago Ponzinibbio is expected to headline the event. Veronica Macedo was expected to face Maryna Moroz at the event. However, Macedo pulled out of the fight due to an injury and was replaced by KSW Women's Flyweight Champion and promotional newcomer Ariane Lipski. In turn, Moroz pulled out due to injury on October 30 and as a result the bout was cancelled. Claudio Puelles was scheduled to face Devin Powell at the event. However, Puelles pulled out of the bout in mid-October with an undisclosed injury and was replaced by promotional newcomer Jesus Pinedo. A middleweight bout between Jared Cannonier and Alessio Di Chirico was scheduled to the event. However on October 20, it was reported that Cannonier would meet David Branch at UFC 230 instead. It is not sure at this moment if a replacement will be sought from the UFC. 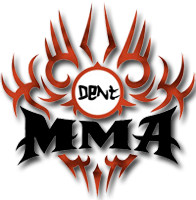 The Ultimate Fighter: Latin America 2 lightweight winner Enrique Barzola was expected to face Nad Narimani at the event. However on October 26, it was reported that Barzola pulled out of the bout due to an arm injury and was replaced by promotional newcomer Sergio Giglio. In turn, on November 8, 2018 it was reported that Sergio Giglio was forced out of the event due to injury and he was replaced by newcomer Anderson do Santos. Tom Breese was expected to face Cezar Ferreira at the event. However, it was reported on November 9, 2018 that he pulled out of the event due to injury and he was replaced by Ian Heinisch. Wonderful event, awesome arena, great audience!!! Yes great event this. Low kicks hurt Magny and it looked like Herb Dean was about to stop the fight moments before the KO... Lamas looked good too. Brutal ground n pound finish over the tough Elkins.